Holly and Sally want your plastic waste! Holly Maslen of Bembridge, Isle of Wight has been collecting plastic from the Isle of Wight coastline. She has spent the last month putting it all together to create a picture of the Island, measuring 4ft North to South & 5ft East to West. The picture has received a lot of positive attention on social media which is not surprising as it looks like a beautiful piece of art. Holly has more projects lined up and has requested that if people collect lots of plastic over the Isle of Wight Day weekend, they can give to her to use! If you would like to pass on your plastic to Holly, please e-mail her hollyvmaslen@yahoo.com to arrange. 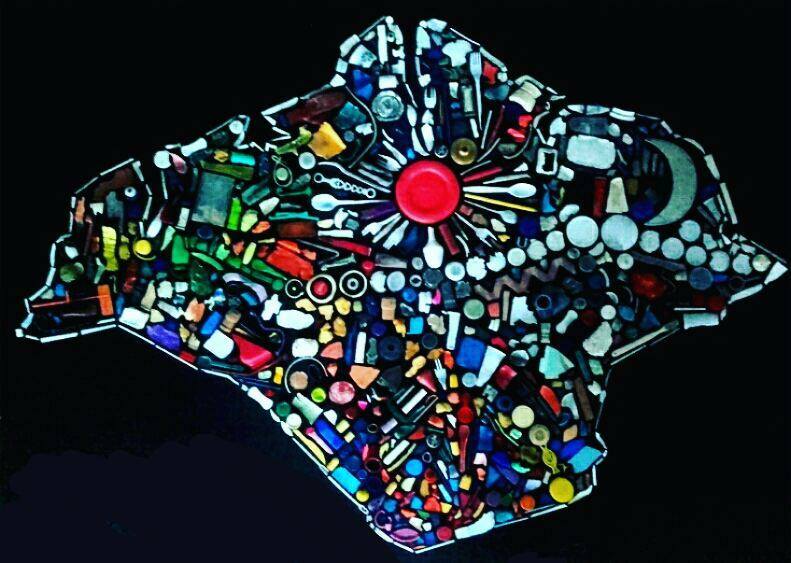 Likewise ‘Island artist, Sally Potter, creates wonderful pieces of artwork, using plastic collected on beaches to drive home the impact that waste has on wildlife and marine life. Sally will be using plastic collected during this year’s Coastline Clean Up to create more thought-provoking pieces that emphasise the importance of environmental awareness.